Blued steel, 10-shot, .223 Rem. 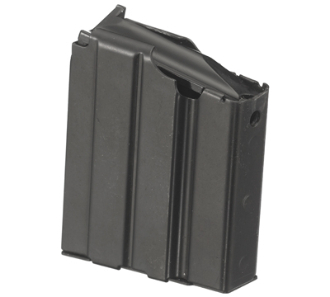 caliber magazine for Mini-14 rifles. 10-round magazines are great for locations where hi-capacity magazines are prohibited. Not available in all states and locales. We cannot bill to or ship 10-round magazines to the following states and cities- New York City. If you live in any of these locations, DO NOT ORDER THIS MAGAZINE.